Assisi Animal Foundation is located in rural Crystal Lake. 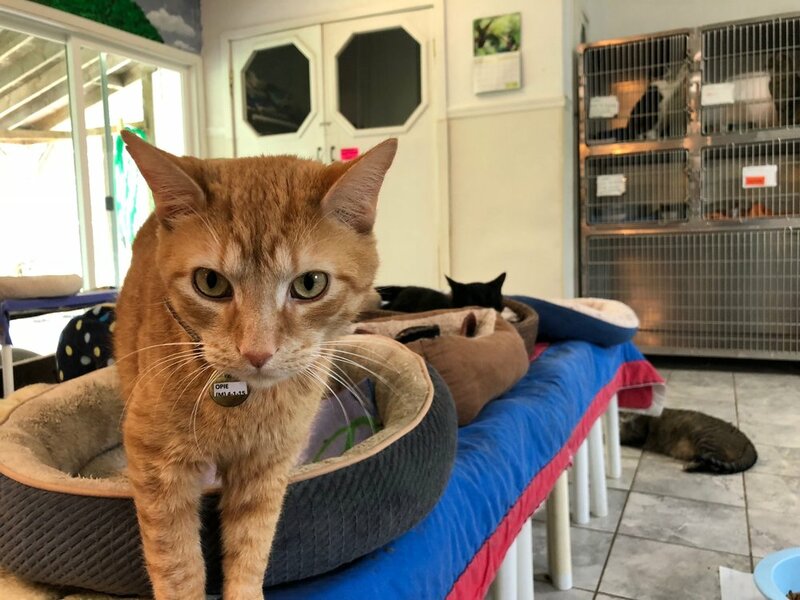 The acreage includes 2 pet buildings, an office and specially designed “Catios”, where cats have access to outdoor sights, sounds and smells in a sheltered safe environment. The dogs in our care have an enclosed paved run with toys, that gives them the exercise they need, and volunteers walk them on the property. Please Call Us to schedule a visit to come meet the wonderful animals that are available for adoption. Take a look inside, see our full photo gallery here. 4. How can I volunteer my time? Please visit our Volunteer Page to see all the types of volunteer opportunities that we have available to you. If you are interested, please give us a Call, download the Volunteer Form, and get ready to help out with our thanks. 5. I have some time in my schedule this afternoon, can I stop by to volunteer? Because we need to make sure that we are staffed at all times, we are unable to accommodate drop-in volunteers. Please use the Contact Form to make arrangements to volunteer with us, download and fill out the Volunteer Information Form and send it back to us to schedule volunteer times. Thank you. 6. I would love to contribute to the Assisi Animal Foundation – can I make on online gift? We do accept PayPal for all contributions. Make sure to check out our Contribution Page for more information and the links to make your gift. 7. Is there a way to contribute other than monetarily? Quality art work, or other property are also welcomed. As a 501 C-3 Non-Profit, you may be able to see tax benefits greater than if you sold the item yourself. Make sure to check with your tax advisor on if this would be best option for you. Please Call AAF to discuss the details of your contribution. 8. A family member just passed away, they really loved helping animals, can I make a Memorial contribution to AAF in their name? A wonderful way to memorialize family, friends or a beloved pet is by contributing to Assisi Animal Foundation in their name. Making a gift in their name to Assisi Animal Foundation will be appreciated by the family and by the animals in our care as well. When a loved one passes, memorializing them with a contribution to AAF in their name can be the perfect way to express your sympathy and offer condolences. Providing for homeless pets can be the perfect remembrance. 9. I am doing my estate planning; can I include Assisi Animal Foundation as a beneficiary? Thank you for considering Assisi Animal Foundation in your will, your trust or as a life insurance beneficiary. When talking with your Estate Planner make sure they know we are a 501 C-3 not for profit organization and that they specify “Assisi Animal Foundation, Crystal Lake, IL” as there are many Not for profit organizations called Assisi, it is important to specify us by location as well as name. If you have already had your will prepared, your legal advisor can easily make the update. 10. I am getting older and I am worried about what will happen to my pets, if I am no longer able to take care of them, do you have any options available? At Assisi Animal Foundation, we do offer Continuing Care for your pets if you become unable to care for them at some point. Your pet will live out its natural life in comfort and be well taken care of, so you can rest assured. Please Contact Us for more information on this program. 11. I am interested in your trips to Africa or India, can you tell me more? Please use our Contact Form to let us know you are interested. 12. How long has Assisi Animal Foundation been in McHenry County? We chartered in the state in 1983 and opened our doors in 1988.